Friends, We truly hope that you are enjoying the TradeTalk sessions till now. 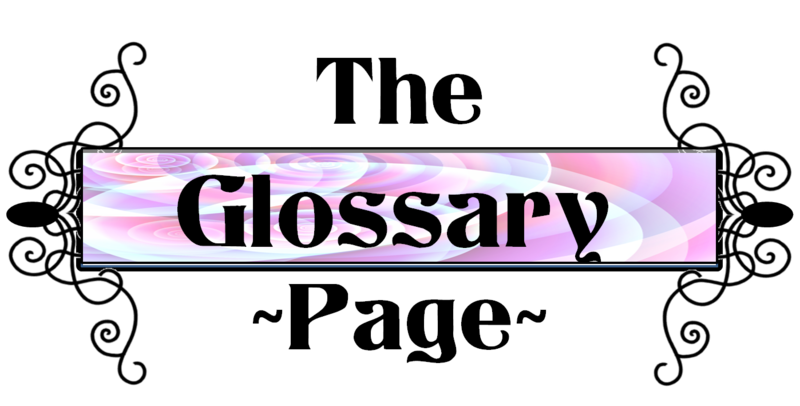 Many of you have requested that we provide a Glossary of Terms used in the Financial Markets so you can refer to them if a term comes up in any of the sessions which you are not familiar with. Keeping in view your needs, we have prepared a list of few commonly used terms in the Stock Market. We might take up few other terms too in upcoming blogs which require a deep understanding. So we request you to closely follow TradeTalk in the future too. The traders in the Market who are pessimist about the current market situation and expect share prices or any other type of investment to fall in the near term. A prolonged period of falling securities prices in a stock market. Blue Chips are shares of large, well established and financially sound companies with an impressive records of earnings and dividends. A free allotment of shares made in proportion to existing shares out of accumulated reserves. A bonus share does not constitute additional wealth to shareholders. It merely signifies recapitalization of reserves into equity capital. A bull is a trader who expects a rise in price so that he can later sell at a higher price. A rising market with abundance of buyers and few sellers. Day Minimum/Maximum and the Operational ranges for that day. Bid is the price at which a trader buys from other trader and offer is the price at which the seller offers to sell the stock to the buyer. The offer is higher than the bid. Brokerage is the commission charged by the stock broker for the services rendered by it to the Client. Basket trading is a facility by which investors are in a position to buy/sell all the scrips that constitutes Sensex or Nifty in the proportion of current weights in the respective index. The actual owner of the security, irrespective of who is holding the security. You are the Beneficial Owner of the stocks you purchased, irrespective of which broker holds the stocks on your behalf. The highest price quoted for a particular stock to be bought. Temporary reversal of trend in share prices. Corrections in markets generally come when profit booking takes place after an upward rally. The trade price of a security at the end of a trading day. Based on the closing price of the security, the base price at the beginning of the next trading day is calculated. This is the right, but not the obligation, to purchase shares at a specified price at a specified date in the future. For this privilege, the buyer pays a premium which would be a fraction of the price of the underlying security. Read our Blog post on Basics of Options for further details. The amount by which an investment’s selling price exceeds its purchase price. A market where debt or equity securities are traded. On any securities market this is the agreement between a buyer and a seller buy or sell securities. Contracts are generally found in the derivative segment. This is the income you receive as a shareholder from a company. A dividend is a share in the profits earned by the company for the year. The pay out of dividends varies from company to company. An arrangement or product (such as a future, option, or warrant) whose value derives from and is dependent on the value of an underlying asset, such as a commodity, currency, or security. Delivery means you buy the stock but “hold” it overnight. In cash segment, you have to wait for two business days after transaction to receive the actual delivery. Example: If you bought on Tuesday, then you get the delivery on Thursday after closing. A day order, as the name suggests, is an order which is valid for the day on which it is entered. If the order is not matched during the day, at the end of the trading day the order gets cancelled automatically. A dealer can enter such an order in the system wherein only a fraction of the order quantity is disclosed to the market. If an order has an undisclosed quantity, then it trades in quantities of the disclosed quantity. Demat trading is trading of shares that are in the electronic form or dematerialised shares. Dematerialisation is the process by which shares in the physical form are cancelled and credit in the form of electronic balances are maintained on highly secure systems at the depository. The last day on which an option may be exercised. Also, the last day of trading for a futures contract. It is generally the last Thursday of a particular month. A Futures Contract is an agreement between a buyer and a seller to buy or sell on a future date a specified amount of the financial instrument or physical commodity at an agreed price. A person who purchases an option to buy or sell. The funds required when a position (or a short position) is opened. The act of offering the stock of a company on a public stock exchange for the first time. A demand for additional funds because of adverse price movement. The daily adjustment of margin accounts to reflect profits and losses. The cumulative number of either long or short contracts which have been initiated on an exchange, and have not been offset. An order to buy or sell a security that remains in effect until it is either cancelled by the customer or executed. A contract giving the holder the right, but not the obligation, hence, “option,” to buy or sell a futures contract in a given commodity at a specified price at any time between now and the expiration of the option contract. The day when securities and funds are given by brokers to the Clearing House. The day when the Clearing House gives securities and funds to the brokers. A put option gives the buyer the right, but not the obligation, to sell an underlying security at a specific price for a specified time. The seller of a put option has the obligation to buy the underlying security should the buyer choose to exercise his option to sell. An upward movement of prices following a decline. The high and low prices or high and low bids and offers, recorded during a specified time. A decline in prices following an advance. The opposite of rally. Price that is used to calculate gains and losses in futures and options market accounts. A share is the smallest unit representing the ownership in a company. The selling of a security that the seller does not own, or any sale that is completed by the delivery of a security borrowed by the seller. An organised market for trading in listed securities. The division of a company’s existing stock into more shares. In a 2-for-1 split, each stockholder would receive an additional share for each share formerly held. The number of shares or contracts traded in a security or an entire market during a given period. We will keep updating this list from time to time, so we request you to bookmark this age and re-visit it again. Till then, we wish you all a Very Happy Trading.